KUALA LANGAT: The government will work with Tenaga Nasional Bhd (TNB) and the National Water Services Commission (SPAN) to cut off utilities to illegal factories. Energy, Technology, Science, Climate Change and Environment Minister Yeo Bee Yin said a notice had been sent on Tuesday to one such factory processing plastic here, stating that electricity supply would be cut. “I will ensure that TNB cuts the electricity supply after seven days from the date of the notice so that illegal factories can no longer operate. “We will also ensure that any illegal factory which has been shut down will no longer be able to operate in any other area... we will work with the authorities to ensure they don’t start up again anywhere,” she said. Yeo was met during an operation to shut down an illegal plastic processing factory in Telok Panglima Garang, here. Present were Department of Environment (DoE) director-general Datuk Dr Ahmad Kamarulnajuib Che Ibrahim and Banting assemblyman Lau Weng San. The joint operation was carried out by about 100 people from the Kuala Langat District Council, Immigration Department, police, Customs Department, TNB, SPAN and Syarikat Bekalan Air Selangor (Syabas). 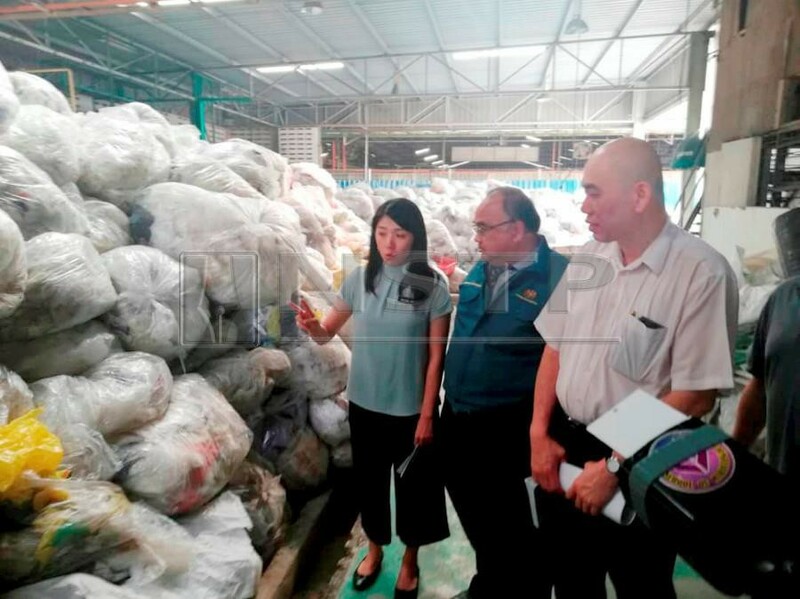 Yeo said the plastic waste in the factory, which would be seized by the authorities, would be given to licensed factories for processing. “We have contacted licensed recycling factories which follow the regulations of the Environment Act and are registered with the authorities to process the waste. It would be better than sending the waste to dumps. “Malaysia will also stop importing plastic waste, especially low grade ones, as well as low-quality plastic,” she said. Yeo said she had also instructed the DoE and police to detain any local suspected to have broken regulations under the Environmental Quality Act 1974. Under the act, she said, a special letter can be issued allowing the authorities to arrest suspected environmental criminals. “The director-general (of DoE) or any officer given written authority by the director-general or police can arrest without warrant any individual if there is any reasonable belief that this individual has committed or has attempted to commit an offence under the act. “If before this, most arrests were of foreigners, from now on we will arrest any Malaysian citizen who is also involved in such activities.